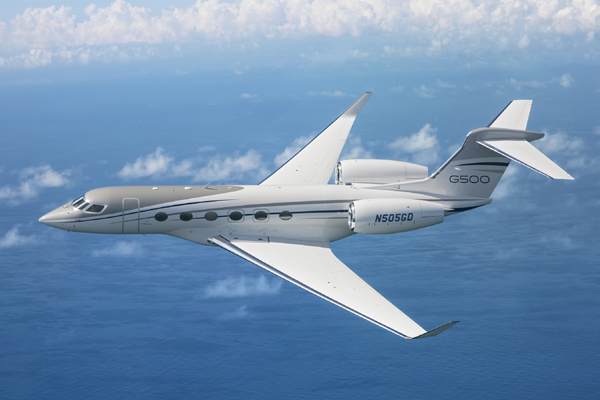 Gulfstream Aerospace Corp has announced that the all-new Gulfstream G500 recently wrapped up its world tour after flying nearly 130,000 nautical miles/240,760 km, stopping at 44 cities and visiting 18 countries on six continents in just seven months. The tour, which included a stretch of flying to 20 cities in 18 days, demonstrated the G500’s tremendous reliability and maturity while showcasing its exquisite interior and streamlined flight deck to customers around the world, it said. “Our confidence in this aircraft and its capabilities is reflected in our willingness to take a fully outfitted flight-test aircraft all around the world, so customers can see firsthand its quality, craftsmanship and technological innovation,” said Mark Burns, president, Gulfstream. At Mach 0.90, the G500 has a range of 4,400 nm/8,149 km. At an average speed of Mach 0.85, the aircraft can fly 5,200 nm/9,630 km — 200 nm/370 km more than originally projected. Optimised for comfort and productivity, the G500 features quiet sound levels, high-speed connectivity, abundant natural light and 100 percent fresh air. The aircraft is equipped with the revolutionary Gulfstream Symmetry Flight Deck, which includes 10 touch screens and the industry’s first active control sidesticks.